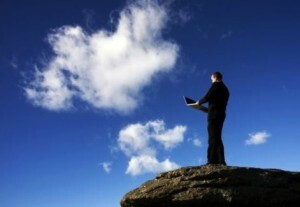 This is Part 2 of a Two-Part Blog about a 2013 report on global network security challenges. This second part will address some of the basic ways that a company can rectify the network security problems presented in Part 1. Since Network Security and Data Breaches abound, and employee carelessness is a major cause of such problems, small to mid-sized companies need basic help. Zephyr Networks has a proven track record of helping companies deal with such problems. By providing quality network security and data breach prevention strategies, we help our clients protect their companies and safeguard their businesses. Our goal is to help you remain profitable. 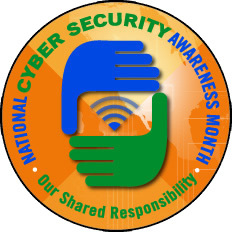 Employees are the first line of defense against cyber attacks and malware invasions. Organizations should conduct network security and data breach training on a regular basis for all existing and new employees. Zephyr Networks help train your employees to be aware of cyber security and avoid careless mistakes. Every user-initiated action should be tagged to a specific person, whether in a physical or digital environment. Every year, a significant number of data breaches occur as the result of an attacker obtaining access to a user’s account. If each action taken is related to a specific user, it is that much easier to track the source of the problem and fix the damage done. The ultimate goal for organizations should be to develop an environment in which network security threats are discovered before they happen. Security event visualization allows businesses to identify patterns, emerging vulnerabilities and cyber attacks before they happen. By knowing what has happened to other companies in your field and with your business model, you can prevent such network security problems and data breaches from happening to your company. 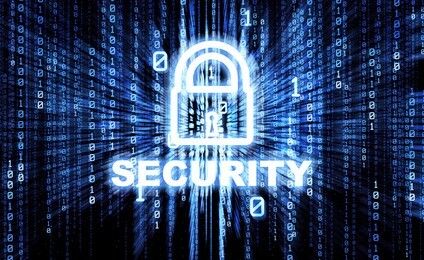 If you are worried about the network security of your company, please contact Zephyr Networks today. There is no reason why these straight forward approaches cannot be instituted to help your company and protect your proprietary intellectual property from data breaches. In the 21st Century, Network Security is not an option, but a necessity. To learn more about how we can protect the network security of your company, call Zephyr Networks toll free at (800) 884-7559 or fill out our handy contact form. 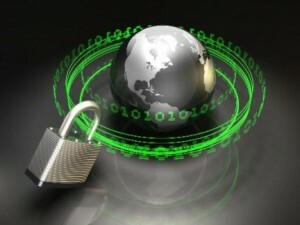 This is Part 1 of a Two-Part Blog about global network security challenges in 2013. Part 2 will address ways that a company can rectify these problems. Zephyr Networks is surprised at how slowly many small to mid-sized businesses are moving to address the new network security challenges and data breaches that have become all too common. A 2013 report about network security and data breaches by TrustWave focuses on the dominant problems facing companies and potential solutions. From spam to malware, phishing to data breaches, the problems faced by companies are growing as the use of technology grows. Zephyr Networks has a proven track record of helping companies deal with each of these challenges and more. 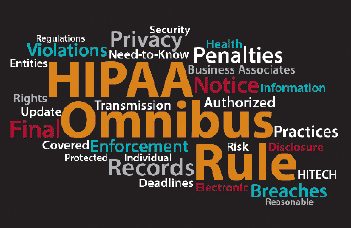 By providing quality network security and data breach prevention strategies, we help our clients protect the essential data and intellectual property of their businesses. Employees leave the cyber door open to network security and data breach attacks. Whether due to lack of education or policy enforcement, employees pick weak passwords and continue to click on phishing links in spam and on websites. In addition, they share proprietary company information on social and public platforms. Applications emerged as the most popular attack vector, and the vulnerability of applications to malware is an ongoing issue. E-commerce sites were the number one targeted assets, and these sites often result in malware infecting applications used in conjunction with these sites. 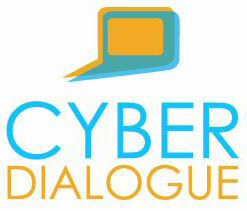 The majority of organizations attacked in 2012 took more than 90 days to detect an intrusion. What is even more frightening is that 5 percent discovered attacks that has taken place 3 or more years ago. The damage had already been done because the attack was never detected. 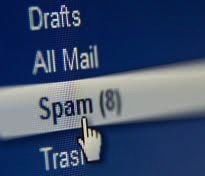 This is where the services if a cyber security provider like Zephyr Networks becomes indispensable. .
Spam volume represents over 75% percent of a typical organization’s inbound e-mail. Even if the majority is ignored, some gets through and the messages are examined and read by employees. What is disturbing is that roughly 10 percent of spam messages are malicious in nature, containing malware and other cyber threats. Still, employees continue to click on malicious spam, leading directly to breaches and network security problems. In Part 2 of this blog, Zephyr Networks will address some basic steps a company can take to address these issues. 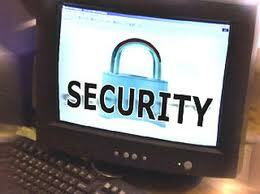 If you are worried about the network security of your company, please contact Zephyr Networks today. To learn more about how we can protect your company, call Zephyr toll free at (800) 884-7559 or fill out our handy contact form. The report is Verizon’s annual analysis of data breaches and breach investigations conducted in the previous year. In addition to Verizon’s own data, this year’s Data Breach Investigations Report (DBIR) includes breach incident data from 18 other organizations around the world (see below), including more than a dozen first-time contributors. Prior to analysis, Verizon once again standardized its breach dataset, this year encompassing 621 breach events and more than 44 million compromised records, using its VERIS incident-sharing framework. Data points in the 2013 DBIR indicate clear patterns in the motives and methods adversaries used for successful data breaches. Of the 92% of breaches in this year’s data set that were caused by external threat actors, Verizon tied more than half (55%) to purely profit-driven organized criminal groups. According to Verizon, these profit-driven adversaries are most interested in companies in the finance, retail and food services industries, and their attacks most often originate from countries in Eastern Europe or North America. Not surprisingly, attackers seeking immediate profit favor payment data and personal information. What is even scarier from the perspective of Zephyr Networks is that the focus of data breaches is not what most people expect. Small to mid-sized companies are more likely to be the victims of such attacks than major organizations. The difference is that any successful attack on a major organization receives a lot of external publicity as news. The truth is that cyber-espionage-related data breaches among companies with fewer than 10,000 employees happened more frequently than at larger firms by an 81-to-19 ratio. A new twist in this year’s DBIR is the inclusion of more than 47,000 reported network security incidents, yet Verizon carefully delineated data points from that larger data set from those drawn from confirmed data breaches. Despite Verizon’s efforts to improve how it quantifies breach data, perhaps the most frightening data point in the entire report involves organizations’ inability to quantify data loss. According to Verizon, of the breach events comprising its data set, organizations had a complete and reliable count of compromised records only 15% of the time. In other words, in 85% of breach incidents, the organizations could not determine the full extent of the breach. Alexander said Verizon’s findings highlight how important it is for organizations to conduct a baseline inventory of sensitive data. It is essential to be able to discover what’s missing or what has been tampered with in the wake of a network security or data breach incident. Zephyr Networks is grateful for the quality and precision of the 2013 Verizon Data Breach Investigations Report. Such a report helps us know how to provide better cyber defense and network security services to our clients. If you are worried about the network security and the cyber defense of your company, please contact Zephyr Networks today. 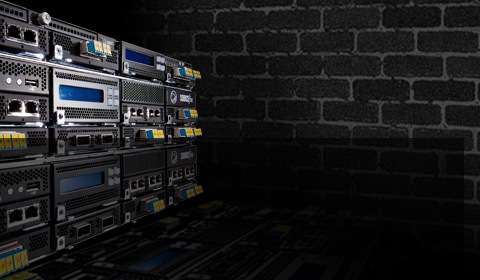 When it comes to ensuring and maintaining your network security, we are your solution. To learn more about how we can protect your company, call Zephyr toll free at (800) 884-7559 or fill out our handy contact form. The following organizations contributed breach incident data to the 2013 Verizon Data Breach Investigations Report. First-time contributors are denoted with an asterisk.